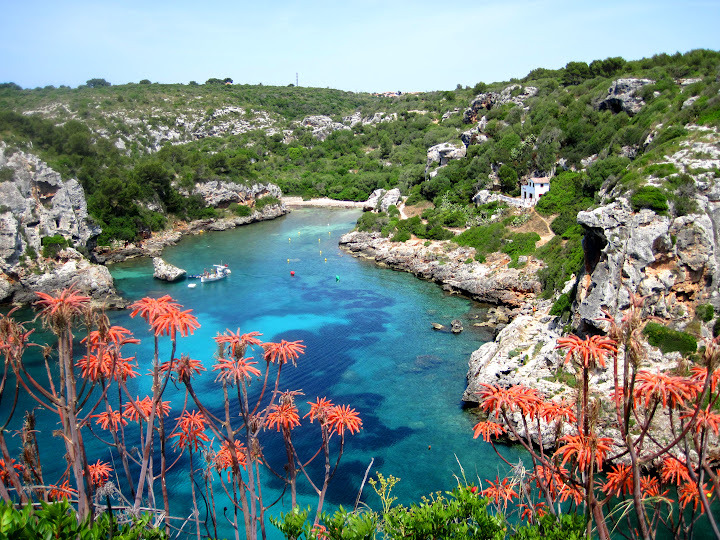 Menorca has around 216 kilometres of coastline, much of it made up of an almost endless series of beautiful beaches and coves. There are beaches that will suit all tastes, from long beaches to hidden sandy coves enclosed by rocky headlands, although all of them have one thing in common, their crystal waters. A magical island with underwater caves, green rolling hills and gorges crossing from one side of the island to the other. Although the attractions you can find in Menorca are of huge variety yet remains the most untouched and tranquil of all the Balearics. The island was declared a UNESCO Biosphere Reserve in 1993, to conserve and protect both its natural habitats and strong cultural identity. Mountain bike. CdC Menorca MTB. New route for mountain bike through the full Camí de Cavalls on the 8th, 9th and 10th of March. Ultra-distance race. Trail Menorca Camí de Cavalls. A challenge, one day to run the 185 kilometres of Camí de Cavalls on the 17th, 18th and 19th of May. Different distances have been set for the race, as well as complementary activities for the whole family to enjoy the event. Fiestas de Menorca. The summer is the time for festivals in Menorca, starting on the 23rd of June with Fiestas de Sant Joan and ending in September with Sant Nicolau des Mercadal. There are festivals in every single town and nearly every weekend, here you can find the dates. Las Fiestas de Sant Joan de Ciutadella, on the 23rd and 24th of June are the most popular and well-known. Ciutadella is very busy, with an excellent atmosphere, lots of people, music, horses and pomada which is the genuine drink of Menorca. Classical music. Festival de música d’estiu. Festival of music in the summer, in July and August, at the Teatre Principal de Maó. Opera. Semanas de ópera.Two weeks of opera at the Teatre Principal de Maó, in June and December with three productions every week.